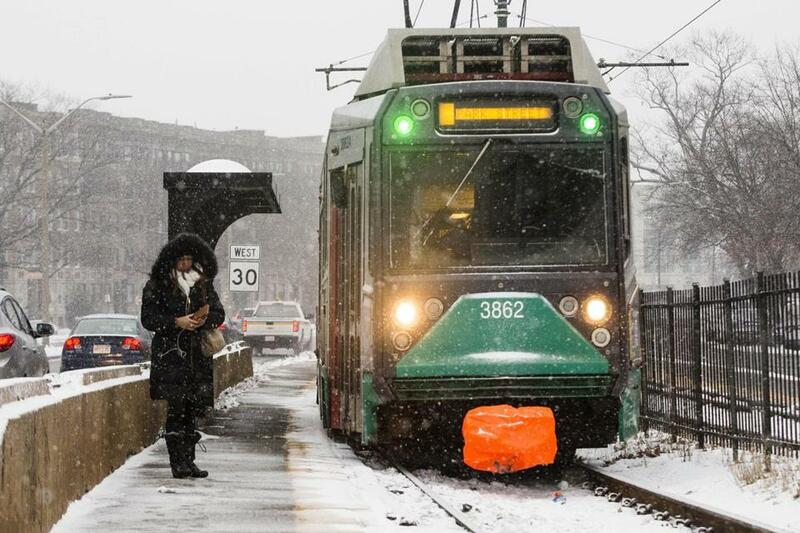 With an ill-timed storm poised to wreak havoc on the Tuesday afternoon commute, the MBTA is planning to boost capacity on its subway lines starting at noon, officials said. State officials are encouraging commuters to use public transit if possible, and consider either working from home or leaving work early. Driving conditions are expected to become dangerous in the eastern part of the state around 3 p.m., state officials said. “Everyone should check a weather forecast and travel conditions before heading out to avoid hazardous driving conditions, as there will be varying types of precipitation in all regions of Massachusetts, including snow, sleet, and freezing rain throughout the daytime and evening hours,” state Transportation Secretary Stephanie Pollack said in a statement. Forecasters have issued a winter storm watch from Tuesday afternoon until late Tuesday night for a large portion of Eastern Massachusetts, including Framingham, Lowell, Lawrence, Gloucester, Foxborough, Norwood, and Boston. The storm could dump five inches of snow on Boston. Precipitation is expected to begin around noon, with snow eventually turning into sleet and then freezing rain, according to the National Weather Service. MBTA ferries are expected to operate on a regular schedule Tuesday and Wednesday, and the agency is not planning any schedule changes to The RIDE. The MBTA is encouraging customers to sign up for alerts and check the agency’s Twitter accounts for updates.